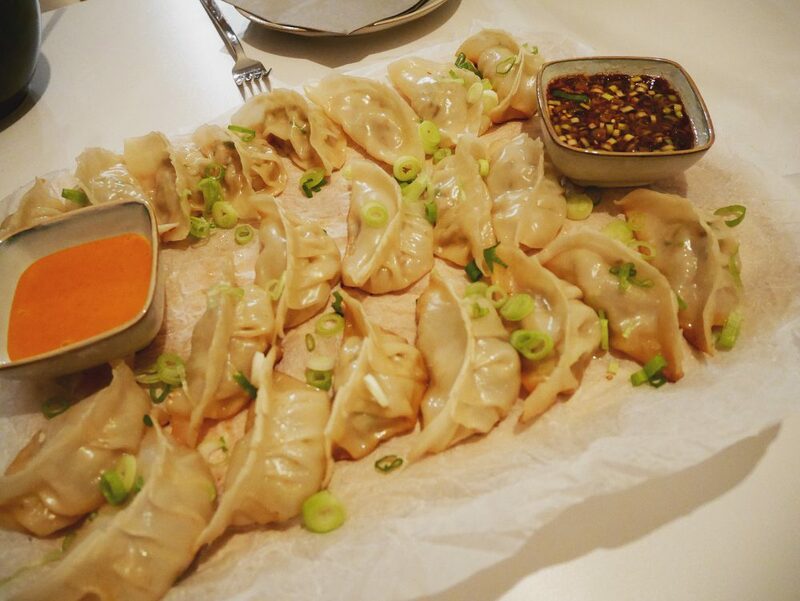 Last week S really wanted me to do dumplings for our Saturday dinner, or Gyoza as it’s also called. I’ve done it once before and it isn’t as hard as it might look. You can buy all the ingredients at a normal supermarket except the wraps for the dumplings which i bought at the asian supermarket (near Hlemmur) here in Reykjavik. You buy it frozen and you just need to defrost it a few hours before you start. I also had spicy mayo sauce as 2nd dip. You can buy that ready at the supermarket. 1. 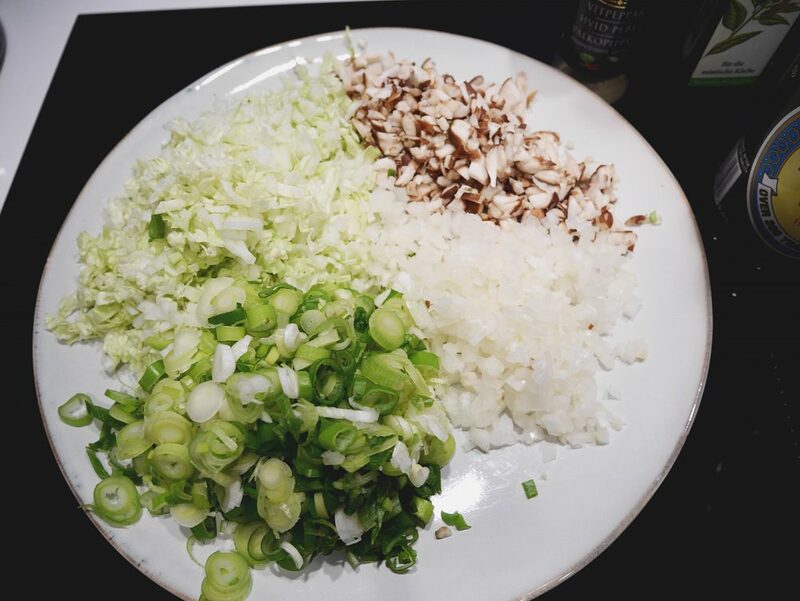 Mix all ingredients in a bowl using both hands until all the ingredients are evenly mixed. Store the mixture in the fridge for about 30 min. During that time you can do the dip sauce. 2. Have a small bowl of cold water ready. 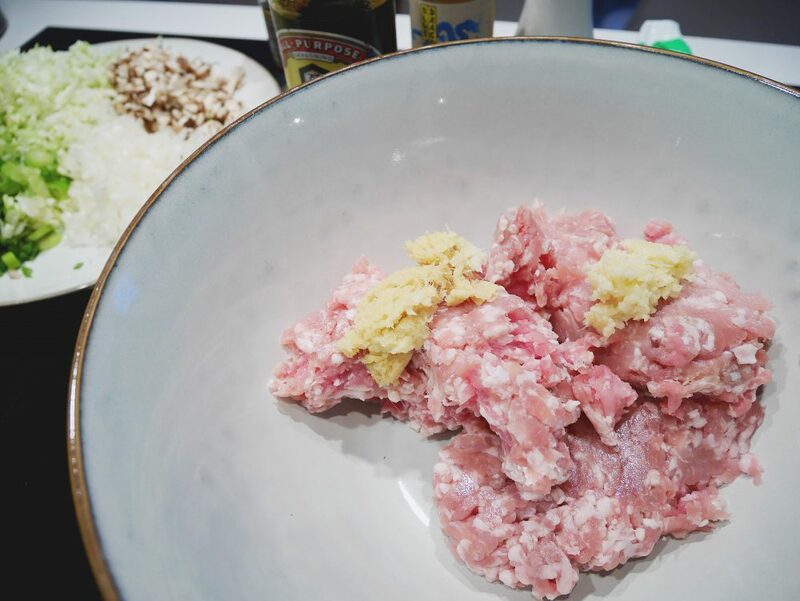 Lay a dumpling wrapper on the flat of the hand, and place a teaspoon of the meat mixture in the center of the wrapper. With a fingertip moistened with water, trace a line along the edges of the wrapper. Fold the wrapper over and start folding. See video down below. 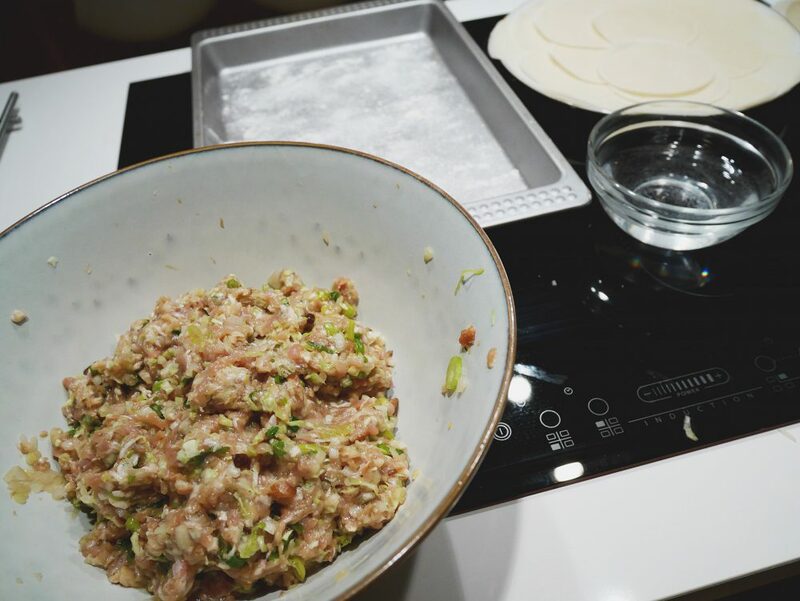 Place the wrapped dumplings on a floured tray. 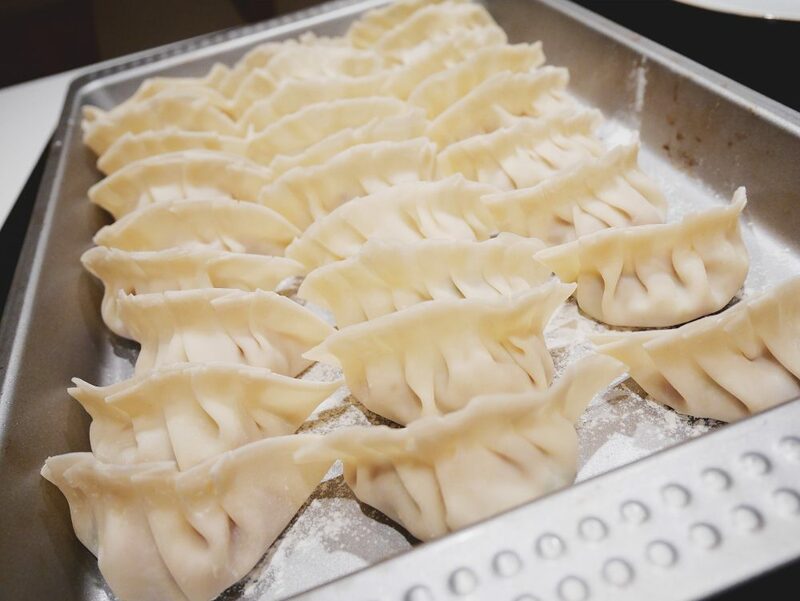 Repeat to make 40 dumplings in all. 3. In a large skillet with a tight fitting lid, heat 1 teaspoon of the sesame oil over medium-high heat. 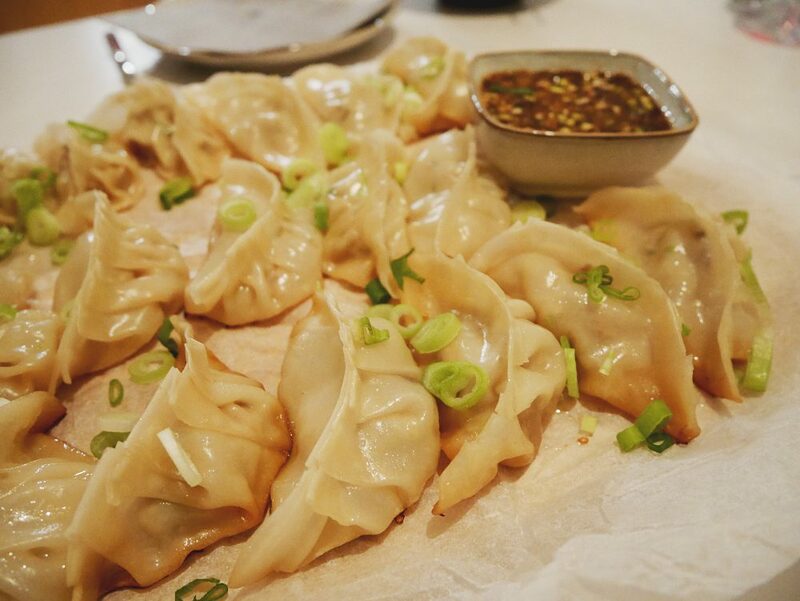 Carefully place as many of the dumplings that can fit without touching in the skillet with the wrapped edge up. 4. Carefully pour in 2 dl of the hot water and place the lid on. When the hissing and splattering die down, drizzle in 1/2 teaspoon of the sesame oil around the edge of the skillet. Place the lid on the skillet to trap in the moisture and then quickly lower the heat to keep the liquid at a bare simmer. 5. Check the dumplings after 2 minutes. When the wrappers appear slightly translucent remove the lid and raise the heat slightly. Continue to cook until all the water has evaporated and only the oil remains. Remove the dumplings from the skillet with a flexible spatula. Cook the remaining dumplings the same way. 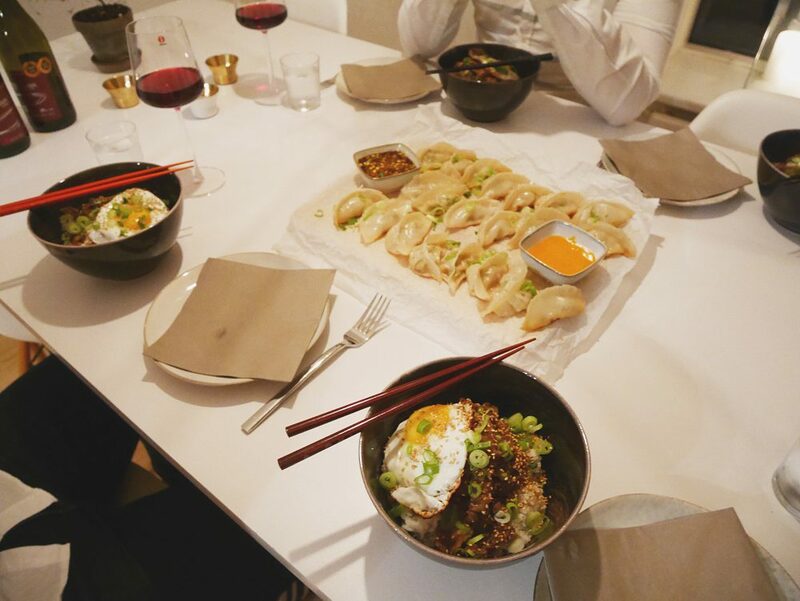 Serve the dumplings hot by the dipping sauce. It might sound very complicated but believe me, it’s not. Just take a look at the video, easier to see than read a long text.